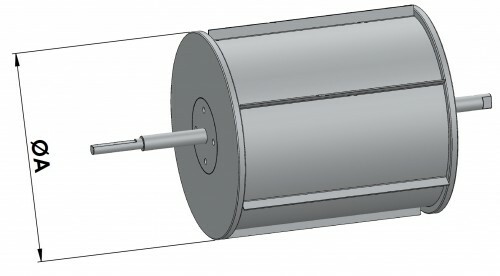 These types of magnetic drums are mostly used in protecting machines, mills, grinders, etc. Our magnetic drums are perfect for separating ferrous particles in a great variety of processes. The Magnetic Drums in Stainless is made up of two sections, a magnetic one and a non-magnetic one, so the product material containing ferrous objects falls directly on the magnetic section. The ferrous particles are captured by the magnetism and stay on the drum until they fall off when they leave the magnetic section. These drums are made in stainless steel (AISI 304 or AISI 316), and have two axis: a movable one and another that is fixed. The mobile axis spins with the drum, whereas the fixed axis is used to position the magnetic field. 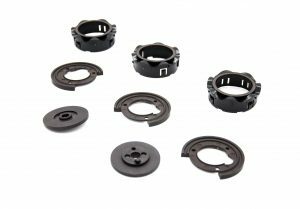 The drums are constructed either of ceramic magnets (ferrite II) or Neodymium (ND35). These drums can work in humid and dusty environments, and at temperatures up to 150º. If the temperature goes over this limit, it would cause a loss of magnetic properties due to the heat. This phenomenon is temporary, because when it cools down, it recovers its initial magnetic properties.